Bitcoin is becoming more and more common in the online sports betting world, and it’s no wonder why: it’s faster and more convenient than regular currency as well as being totally anonymous. Whether you only bet on the odd match, or are always trawling the sportsbooks for the best Premier League odds, you should consider giving bitcoin a go. Most ﻿cryptocurrency bookies﻿ like CloudBet and BetOnline now extensively cover the EPL, La Liga and other popular soccer tournaments. In case you’re new to football (or soccer, if you’re from the US), the Premier League is the highest league of association football in England, and the most prestigious and expensive football league in the world. It generates a huge amount of revenue per year and attracts spectators from all over the world. Most Premier League teams have a global reputation and are made up of the some of the very best and most expensive international players. While there’s often a bit of homegrown talent in each team, the majority of team rosters are often made up of players from other European countries, Africa or South America. It’s because it attracts so much talent from all over the globe that the Premier League is held in such high esteem. There are twenty teams that make up the Premier League. The bottom three teams at the end of each season are relegated to the English Football League. Although there are twenty teams in the premier league, there are a handful of teams that dominate the rest. Arsenal, Chelsea, Manchester United and Manchester City tend to trade the title amongst themselves each year, while Tottenham Hotspur and Liverpool are often in hot contention. These four top teams have become massive brands, with their kits and home grounds (the Emirates Stadium, Stamford Bridge, Old Trafford and the Etihad Stadium respectively) becoming global icons. Between them, these four teams own a good chunk of the world’s highest paid players. Mesut Özil and newcomer Alexander Lacazette play for Arsenal; Fernando Torries and newcomer Álvaro Morato for Chelsea; Paul Pogba and newcomer Romelu Lukaku for Manchester United; and Kevin de Bruyne and Raheem Sterling for Manchester City. Full time result – a bet on which team will win the match or if it will end in a draw. Draw no bet – the same as a full time result bet, except draw is not an option. Under/over – a bet on whether there will be more or less than a specific number of goals scored. First goalscorer – a bet on who will score the first goal of the match. Correct score – a bet on what the final score of the match will be. Handicap – a bet that one team will win by at least a certain number of goals. As you’d expect, the odds on a bet will vary depending on how likely it is to win. So, a winning correct score bet will pay out far higher than a winning full time result bet. Some bookies offer highly specific bets, such as a certain player scoring at at a certain minute, with massive payouts. This is what’s so great about betting on football matches: you can bet on practically whatever you want. 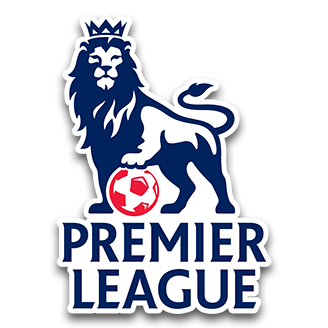 Title – a bet on who will win the Premier League title. This has become an increasingly popular bet ever since a hoard of devoted Leicester City fans cashed out their 5000-1 bets after Leicester City unexpectedly won the 2015-16 title. Top four – a bet on which team(s) will finish in the top four of the league table. Relegation – a bet on which team(s) will finish in the bottom three of the league table and be relegated. Goalscorer – a bet on which player will be the top goalscorer of the season. Points handicap – for this bet, each team on the Premier League is given a handicap based on how good they are. The best teams get a handicap of 0, whilst the worst get will get 40–50. Points are then added to each team just as they are in the Premier League, and bets are placed on which team will come out with the most points. As you can see, there are tons of different bets you can make to enhance your enjoyment of the Premier League. If you have an eye for it, and a bit of luck on your side, you can make quite a lot of bitcoin. There are plenty of professional sports bettors out their today who make their living off of the bookies mistakes. But it takes a lot of time and skill to get to that place. That said, if you already have a strong understanding of the game and good foresight, why not put it to use?